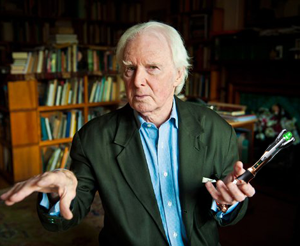 Brian Sewell has had the Tardis fitted with a library. Brian Sewell has revealed that he’s been secretly reshooting the current series of Doctor Who, so Peter Capaldi can be dropped if Scotland votes to leave the UK. For constitutional reasons, Scottish people will not be allowed on the BBC if Scotland becomes independent. They will join the French and the Germans on an internal list of ‘undesirables’. But the scheduling of the eighth series of Doctor Who couldn’t have been worse for the corporation – if Scotland votes yes, Capaldi will be out before episode 6 has been aired.